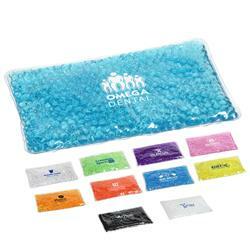 Custom rectangle ice pack or warm pack made with fun gel beads to microwave or freeze with your imprint. Perfect size to ease those aches and pains! Fantastic new product with lots of options. 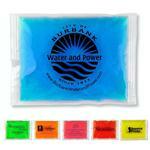 Great for any health promotions, dentist, medical conferences, and tradeshows. Aching neck, wrist or back? Sooth and relieve with Adco Marketing. 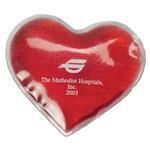 Available in heart, tooth, star, orange, house, apple, car, cow, baseball, football, duck, fish and many more! Dimensions: 7-1/2" x 4-1/2" x 1/2"
Typical Imprint Area(s): 2.75" x 2"
Due to the complexity of imprinting on Aqua Pearls, Ariel needs to evaluate the art for any MULTI-COLOR imprints on Aqua Pearls to assure a quality imprint. Add $.50 each for heart shape.